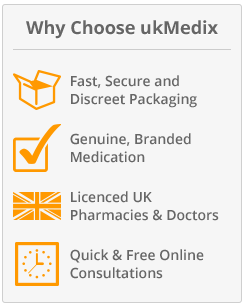 UKMedix works with a licensed UK pharmacy and UK licensed doctors to bring you industry leading, unrivalled service when it comes to ordering prescription medication online. 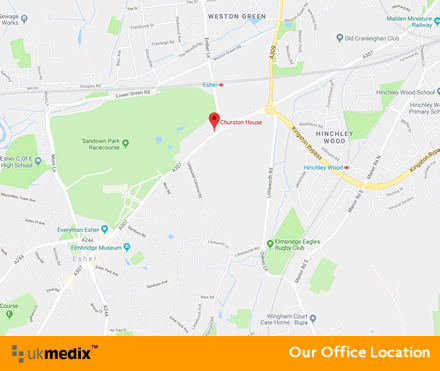 Our dispensing pharmacy is based in London, in the UK and is registered with the General Pharmaceutical Council of Great Britain. For further information on the licensed pharmacy who will dispense your order or to view registrationdetails feel free to visit the General Pharmaceutical Council website or try the UKMedix unique know your pharmacy service now! We strongly believe that no one should ever have to take a risk with their health and that is why all of the treatments and medications that are supply via our licensed of pharmacy are 100% genuine and all consultations are handled by fully qualified and licensed UK practitioners while ensuring that all information provided by our customers is held under the strictest code of privacy possible, meaning that no information provided is ever provided to third party companies. Medical information and your order records/history are kept strictly confidential with UKMedix. Pharmacy staff, our medical team, and appropriate administrators will only ever access this private data. UKMedix will never disclose your information unless we are forced to do so by law. Unlike our competitors, our delivery is free, fast and comes with no hidden extras and is delivered by Royal Mail to ensure that we can get your medication to you quickly, especially with orders that are completed before 3pm on weekdays as these are sent out the same day. We encourage our customers to contact us regarding our service or our prescription medications and strive to make sure that we have given you a response within 2 working days however we do try to be able to provide you with answers sooner than that. If you would like to contact us regarding our pharmacy service or the treatments that we offer, we offer a variety of ways in which you can contact us, please refer to our Contact Us page to find a method to suit your needs. UKMedix is best - with medical teams regulated by the Care Quality Commission (CQC). The CQC are responsible for ensuring that all medical services provide people with safe, effective, compassionate and high-quality care. As we demand high standards of quality throughout the business, we strive to offer you the best and that means that every member of our medical team believe in their duty of care commitments, putting your health and well being first. For more information on how our medical team work, please visit our how we work page. UKMedix has implemented a 'company wide' written complaints policy and we aim to react fast should you be dissatisfied with our service. We will do our best to receipt all formal written complaints within 48 hours and to reply to all formal written complaints within a working week. If you would like to place a formal complaint, please send an email to enquiries@ukmedix.com. In the unlikely event that the response the UKMedix customer care team has given has not satisfied you, you can also make a formal written complaint to the General Pharmaceutical Council. What is the deal with medicine? In order to ensure your safety, UKMedix or the dispensing pharmacy is not allowed to accept returned medicines. No UK pharmacy is able to use returned medicines as the quality cannot be guaranteed. UKMedix recommends that medicines you no longer wish to use, are taken to your nearest pharmacy for safe disposal. To cancel an existing order before dispatch (3pm weekdays) call us 0203 2863349 or write to us now- sales@ukmedix.com. Once an order is dispatched and has left any one of our licensed network pharmacies we cannot accept a return. What if the goods are damaged? UKMedix is a registered trademark of UKMedix Internet Limited. UKMedix Internet Limited is a company registered in th United Kingdom.